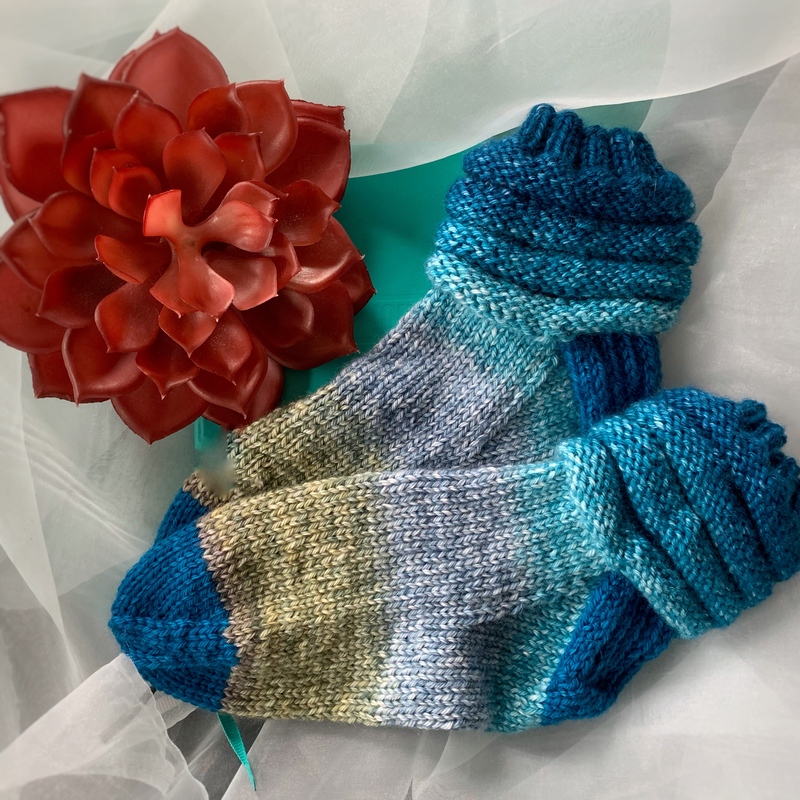 My new Concentric Bed Socks are knit from the cuff down using a single strand of worsted weight yarn for a quick and cozy knit. 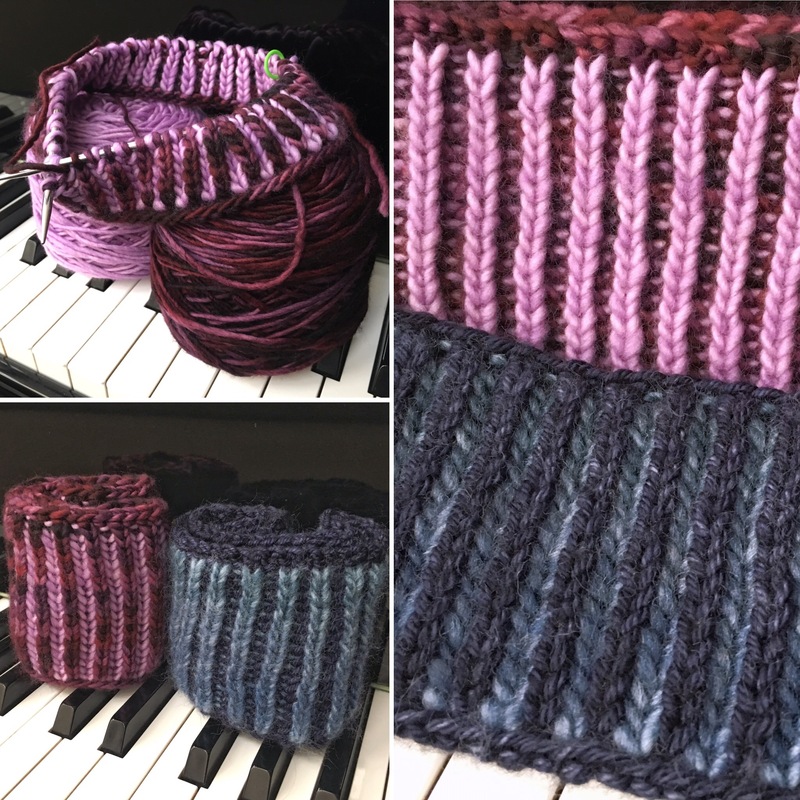 You can use magic loop, 2 circulars, or double pointed needles; knitter’s choice! Alternating bands of knits and purls create a scrunchy fabric that traps warm air at the ankle. 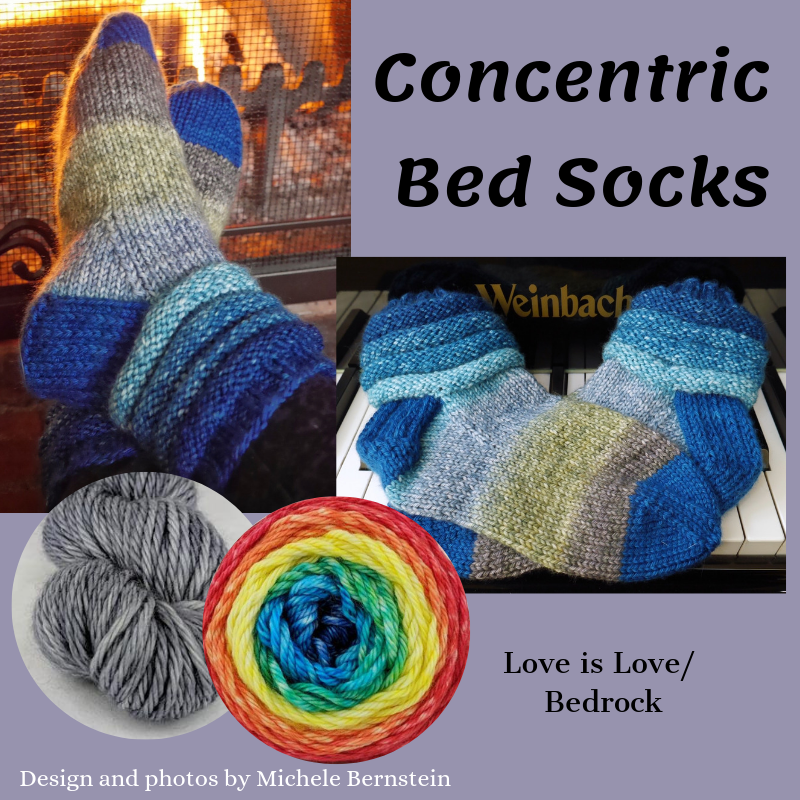 These Bed Socks are very similar to my Concentric Slipper Socks, which are knit double stranded. 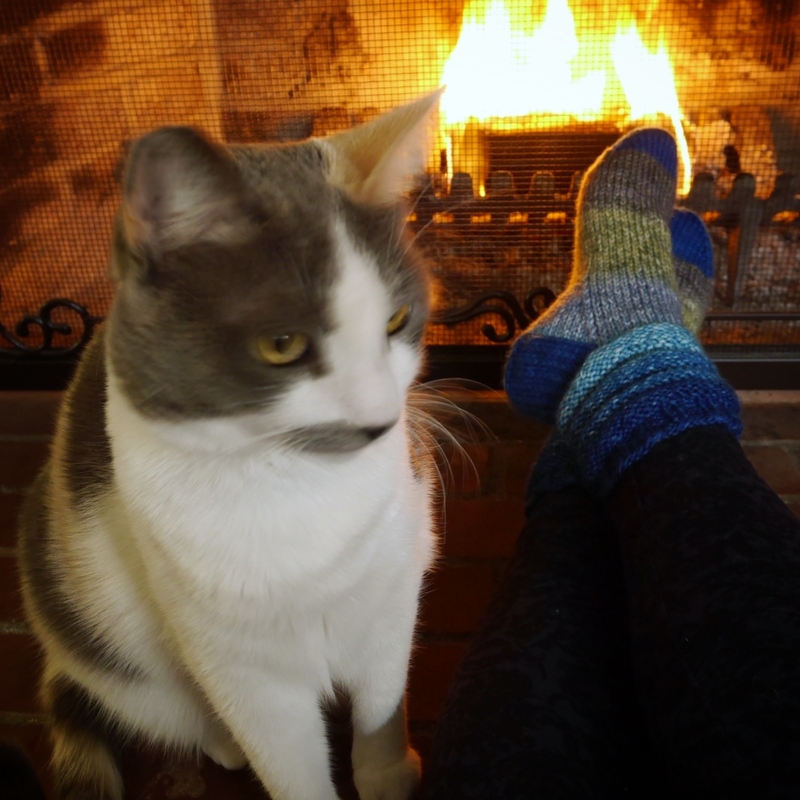 They’re perfect when you don’t need quite so much bulk and warmth. 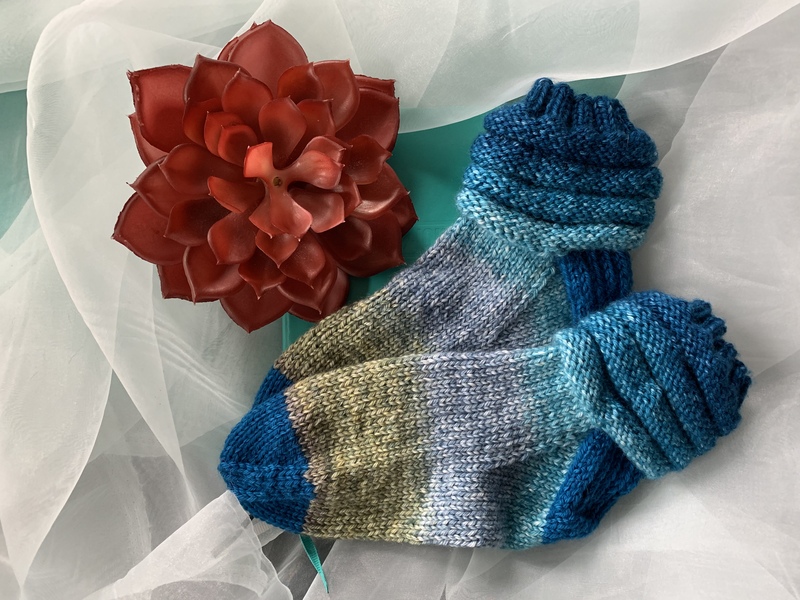 The Concentric Bed Socks are sized for women, or a small man’s foot, based on the available yardage in Knit Circus’ Ringmaster Panoramic Gradient 50g cakes. 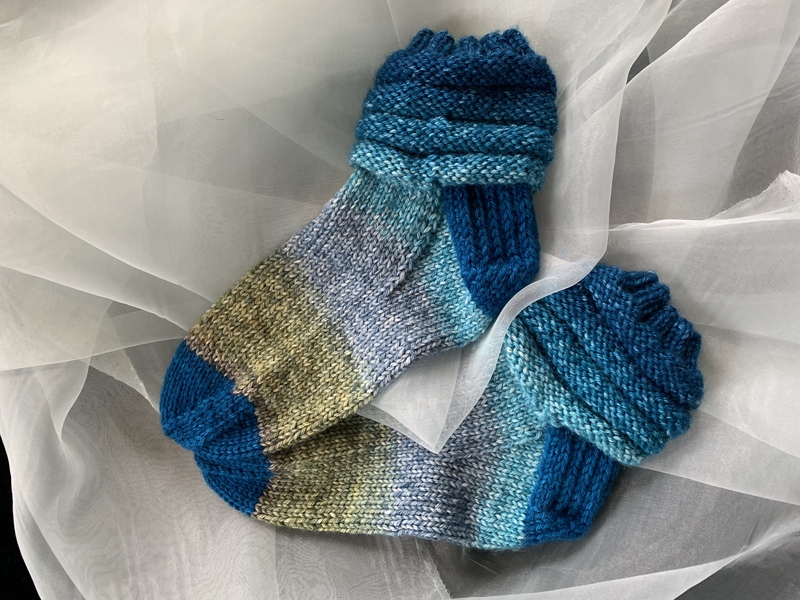 They feature a contrasting heel and toe, which makes it possible to use just two matching 50g balls of gradient yarn for the ankle and foot. 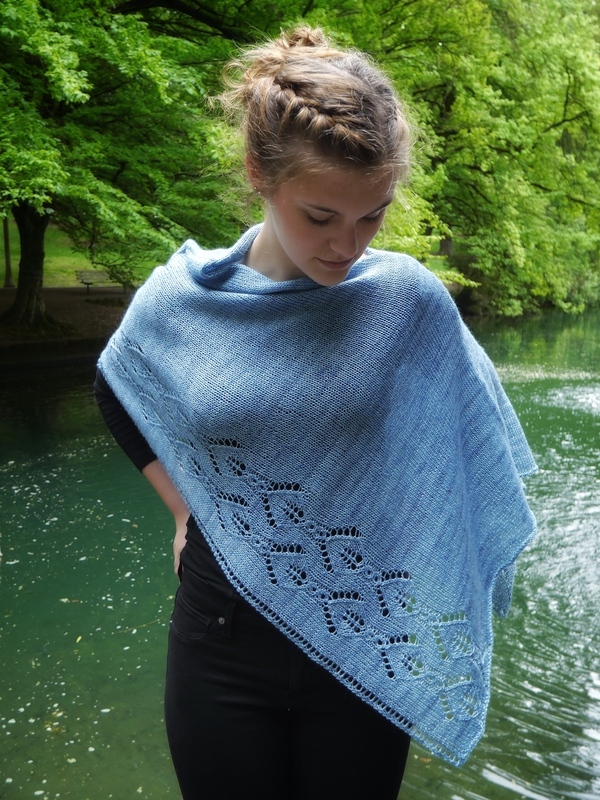 This pattern is now available through Ravelry; link here. 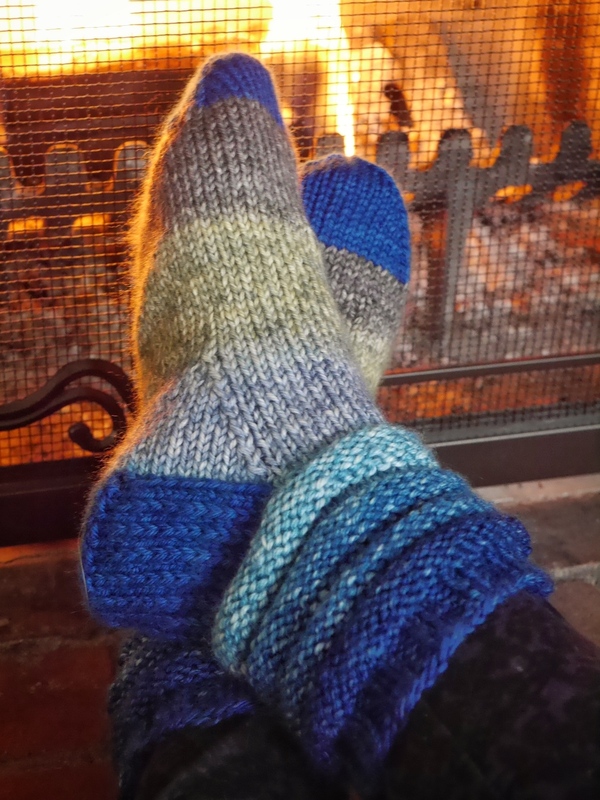 Want to knit both the Bed Socks and the Slipper Socks? 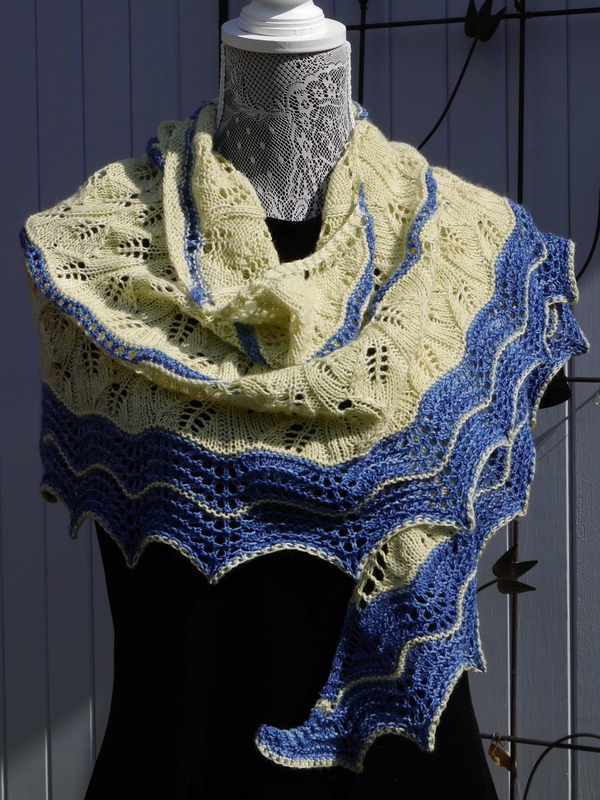 See the Ravelry pattern page for special pricing. 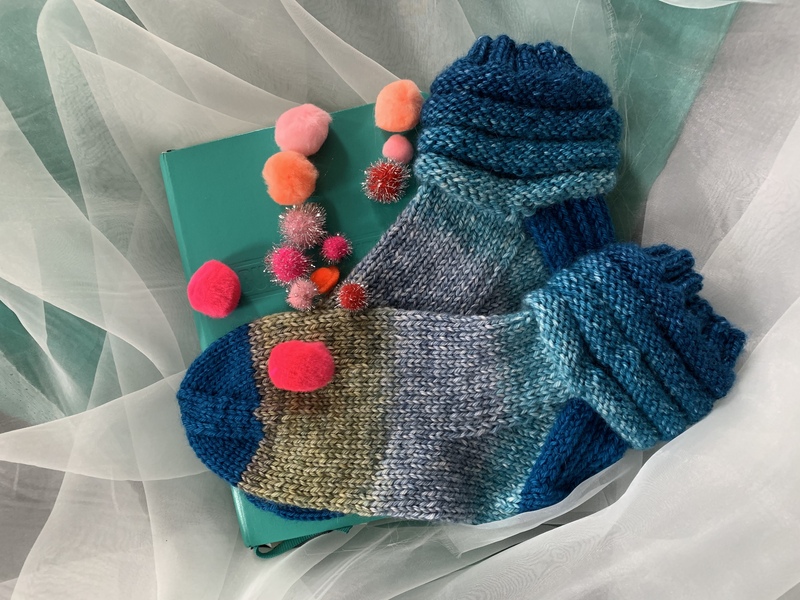 If you’ve already purchased the Slipper Socks pattern, the price for the Bed Socks pattern will be automatically adjusted for you. 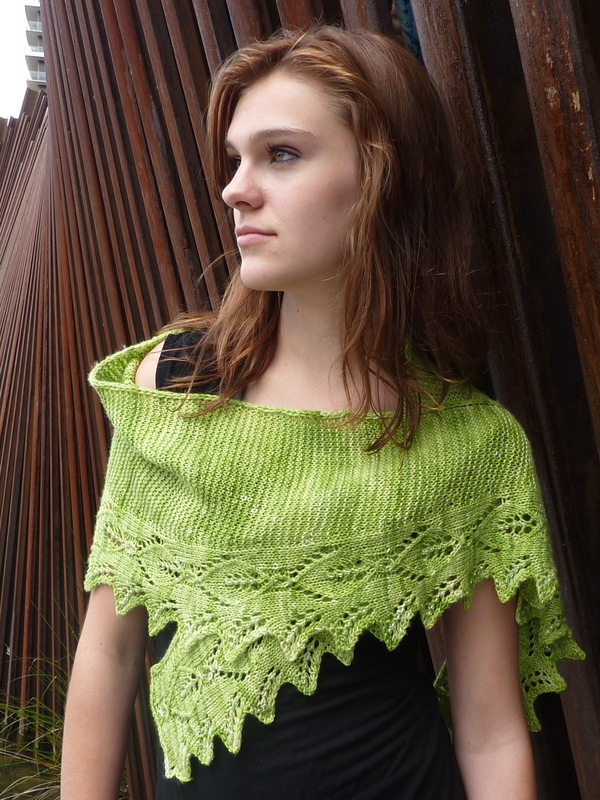 These are a perfect treat for you to knit during January, aka Selfish Knitting Month. Or you could knit them for someone special, almost as special as you. 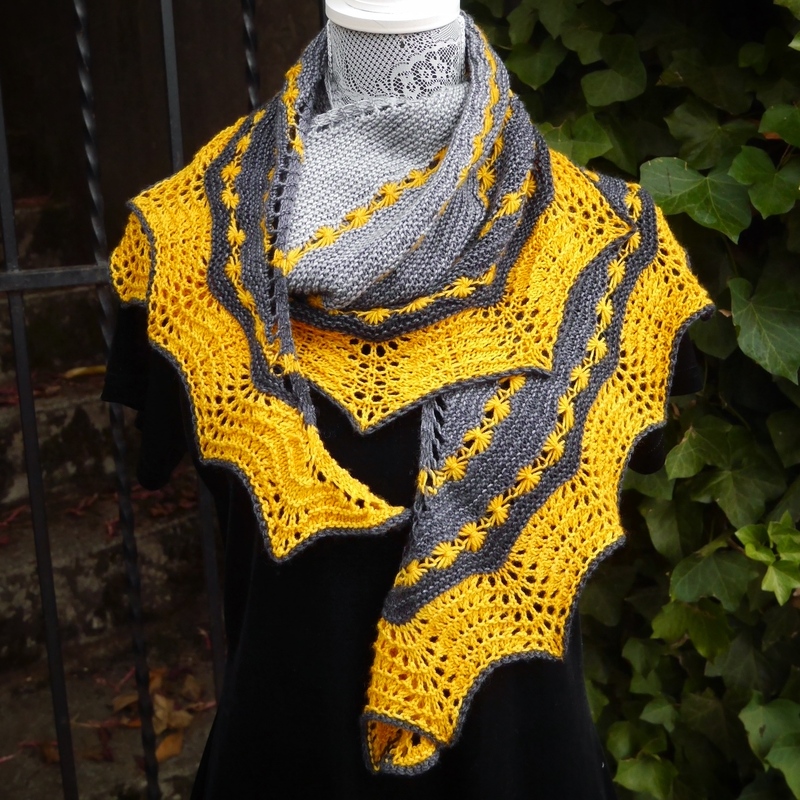 Cool factoid: This is my 13th pattern this year, and my 100th pattern on Ravelry! 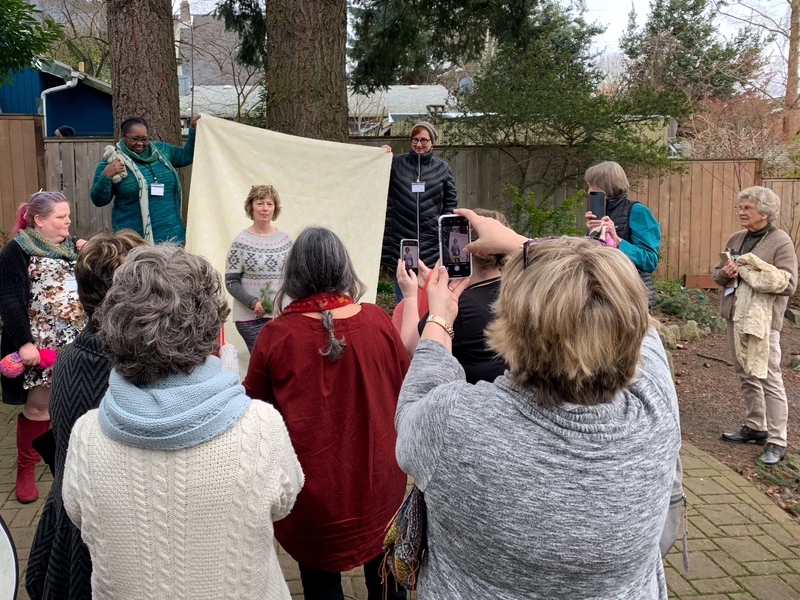 Thanks to tech editor Amanda Woodruff, and test knitters Jacqueline Lydston, Denise Delagarza, and Ann Berg. My Concentric Slipper Socks. 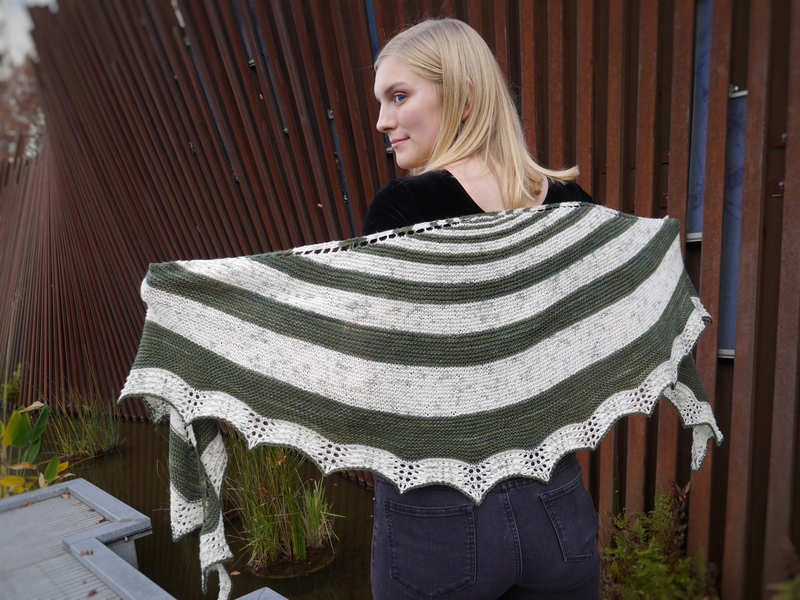 So beautiful in this lovely panoramic gradient from Knit Circus. 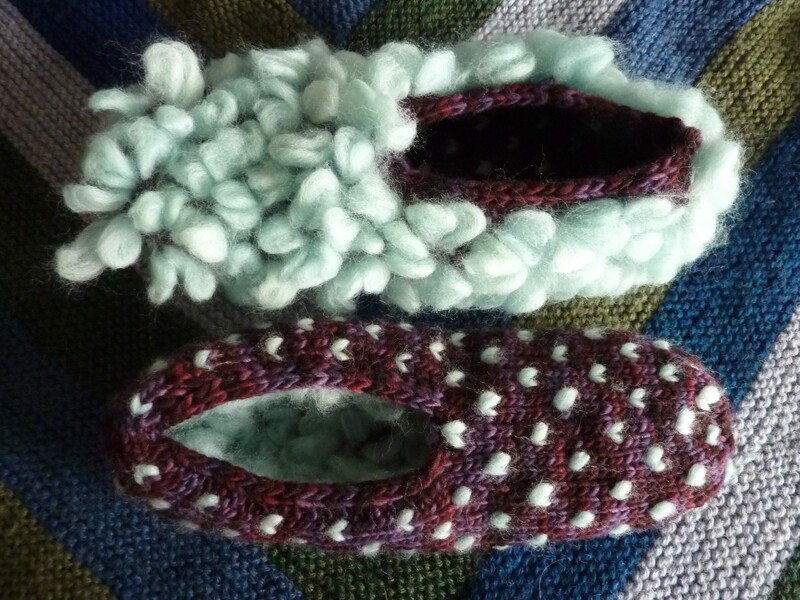 But they’re an expensive slipper because they’re double-stranded with four 50g balls of beautiful gradient yarn. 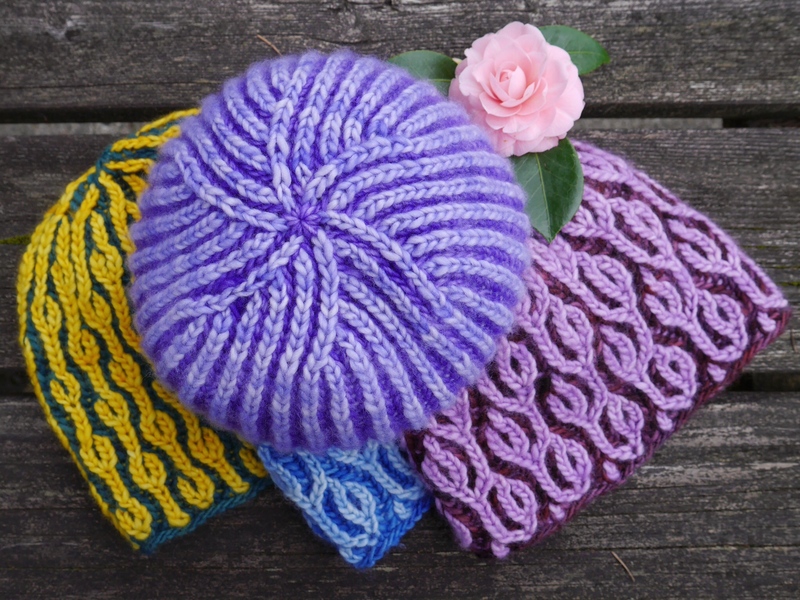 You could knit these with any worsted weight yarn and be very happy. The gradient just makes them extra lovely. 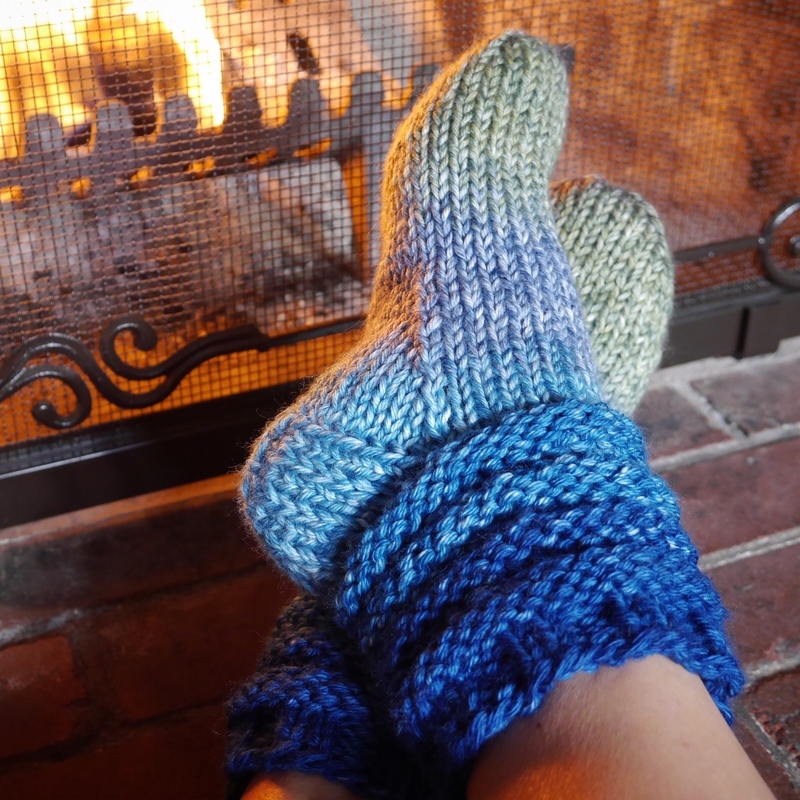 I frogged the slippers, which I loved, because I want to make single-stranded bed socks. 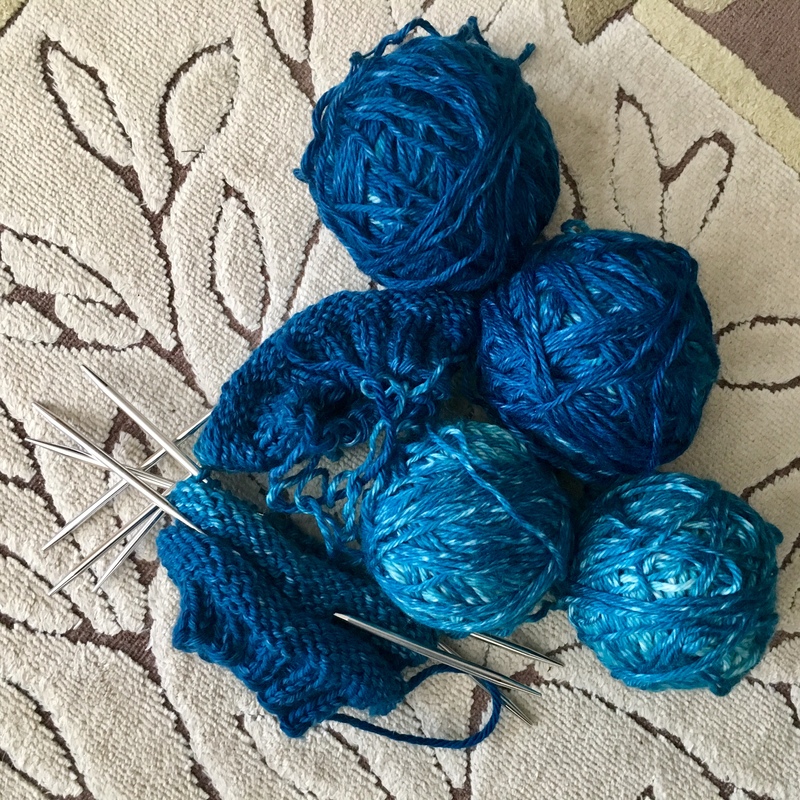 Those four balls should make two pairs of bed socks, if I use a contrasting yarn for heels and toes. You’ll note that I’m using some very interesting needles. These are Skacel’s FlexiFlips, which come in a set of 3. (I reviewed them before, here.) It’s a hybrid of dpns and magic loop or two circulars; there’s a bit of cable between the two tips. Divide your work in half, and the third needle is the working needle. 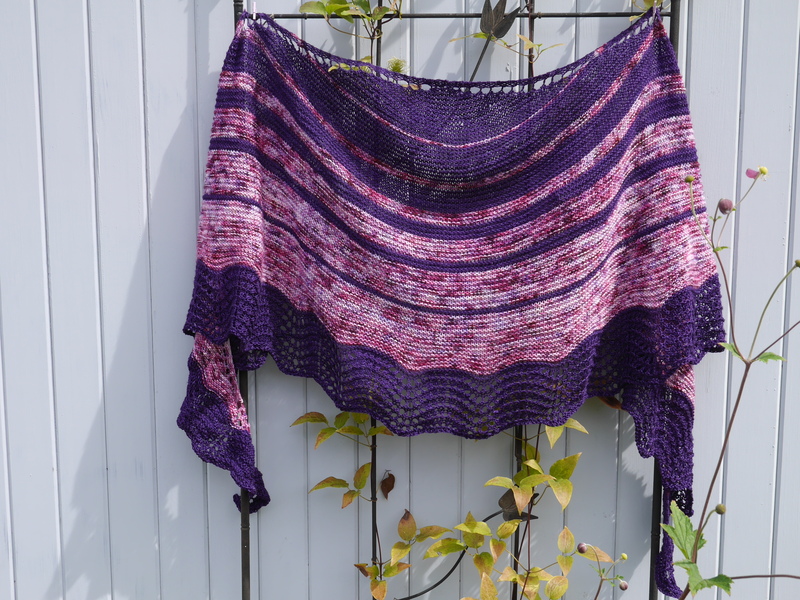 I like having fewer transitions than when using dpns, and no fiddling with sliding stitches on cables. 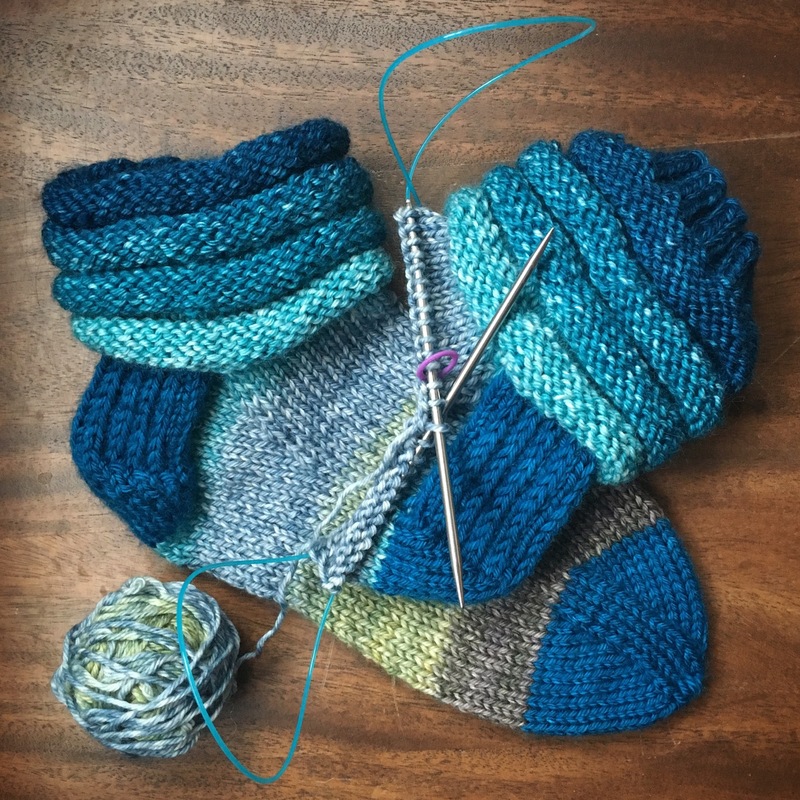 I had started these socks with magic loop on 32” cables which felt too long, and moved to 24” cables which felt too short. The FlexiFlips are just right. 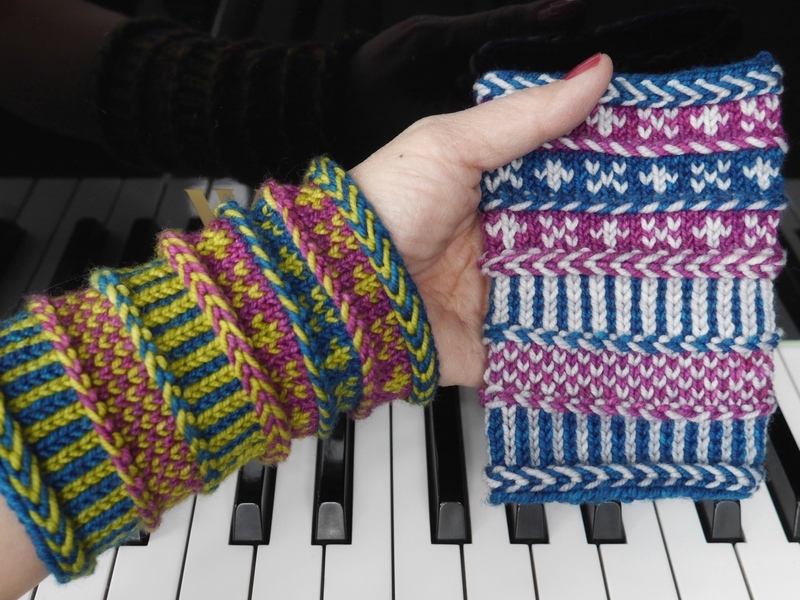 They each have a pointy end and a blunter end, so you can choose which suits your knitting style. And I find I don’t need to re-tension the yarn in my throwing hand when I switch needles, which is saving me time. 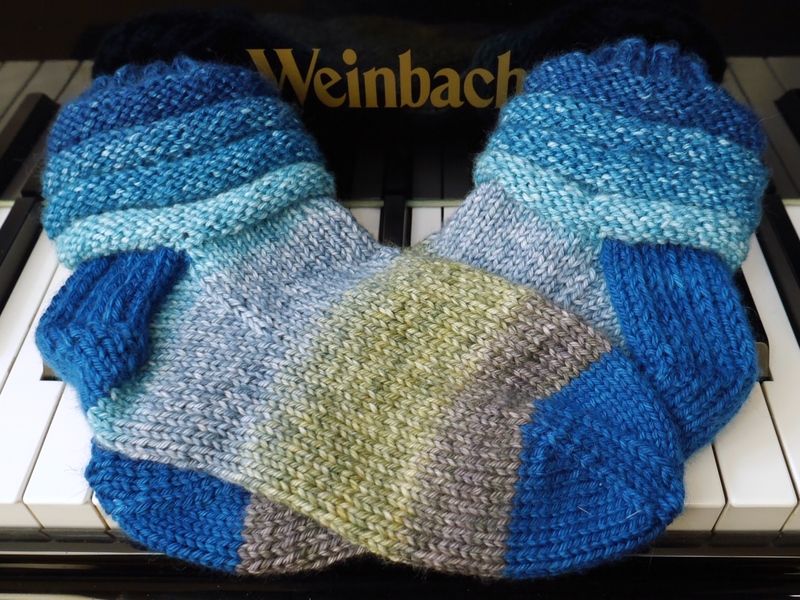 I’ll let you know how the bed socks turn out…soon! 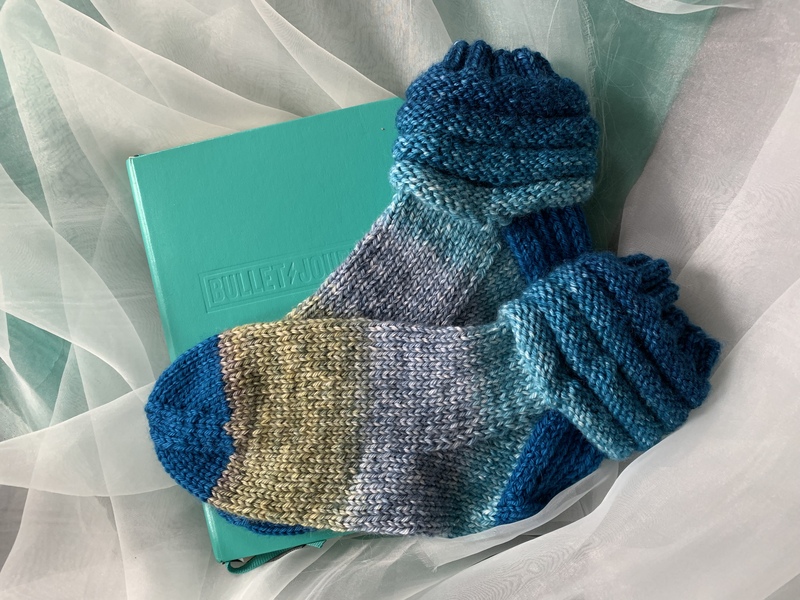 Worsted weight yarn means quick socks! What else is going on? 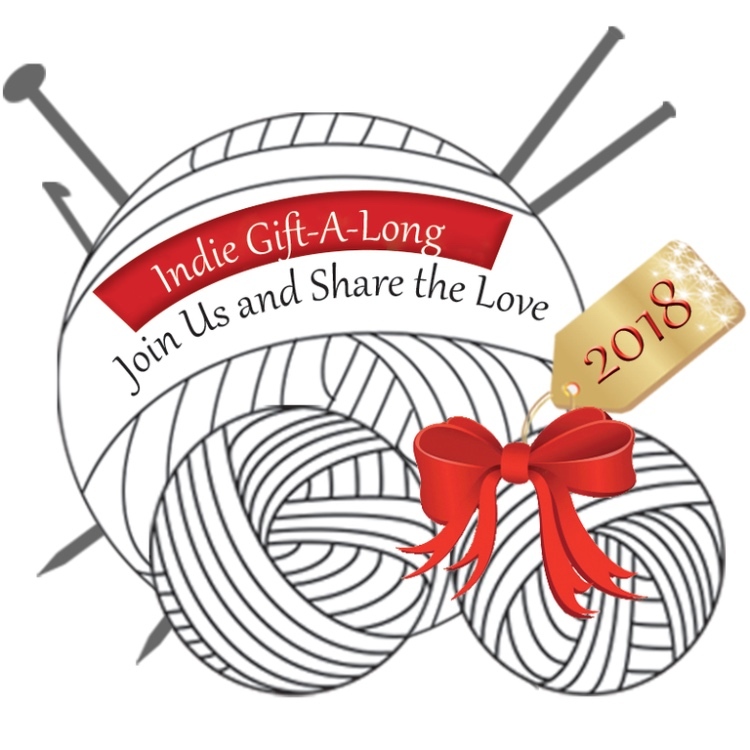 The Indie Design Gift-A-Long starts on Friday! What’s a Gift-A-Long? 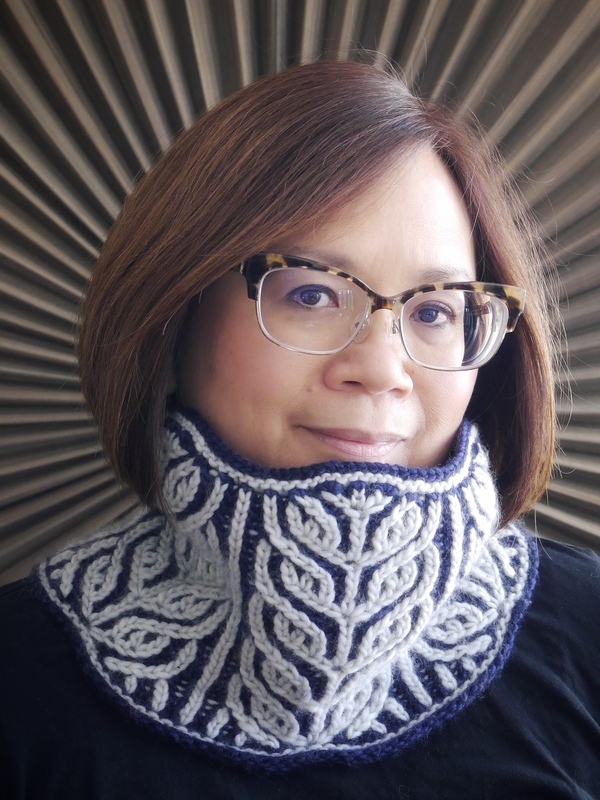 It’s a multi-designer event through Ravelry to help you kick-start your holiday gift-making. 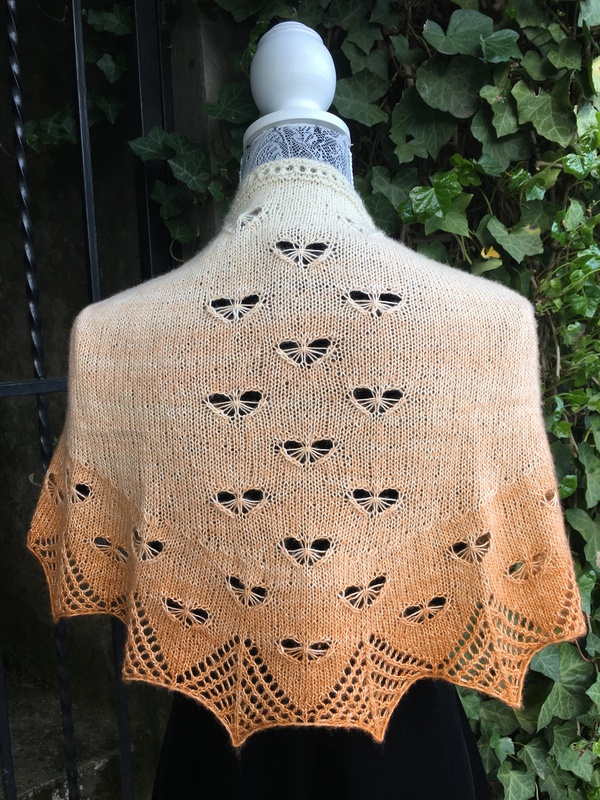 It begins with a pattern sale, and then the fun and games begin on Ravelry, with KAL/CAL activity and prizes. 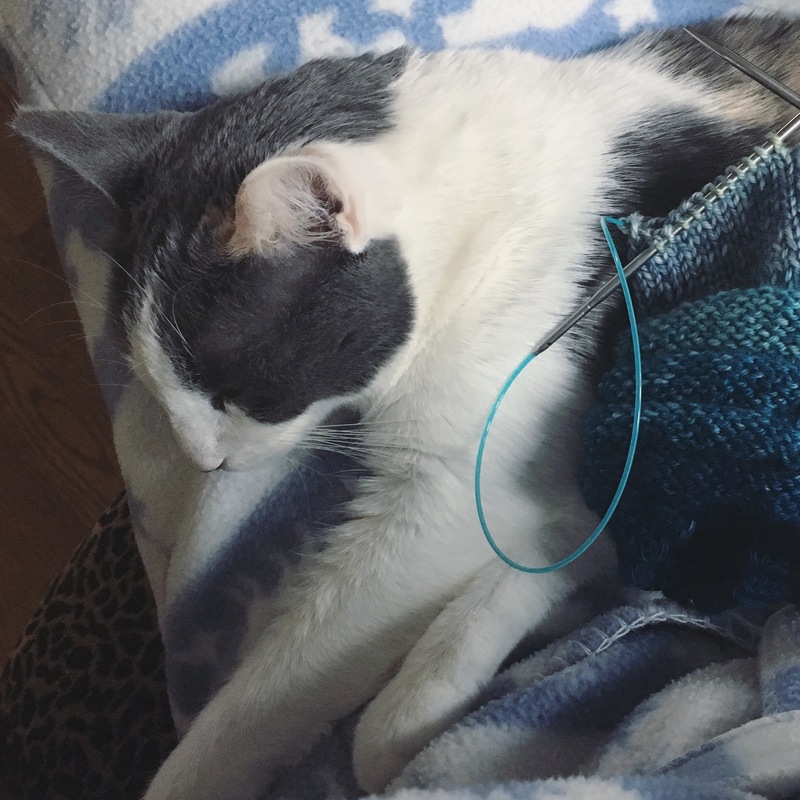 Your project with any paid pattern by a participating designer is eligible for prizes, not just the patterns in the sale. 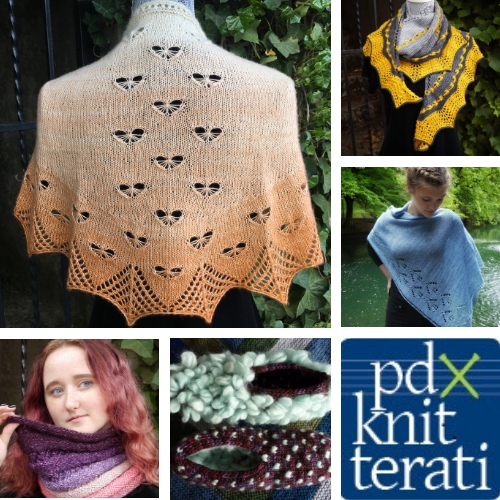 Here are a few of my patterns that are included in the coupon sale portion of the GAL; you can see the rest in the GAL bundle on my Ravelry designer page. The pattern sale runs from Friday, November 23 at 8:00 pm US EST – Thursday, November 29, 2018 at 11:59 pm US EST. 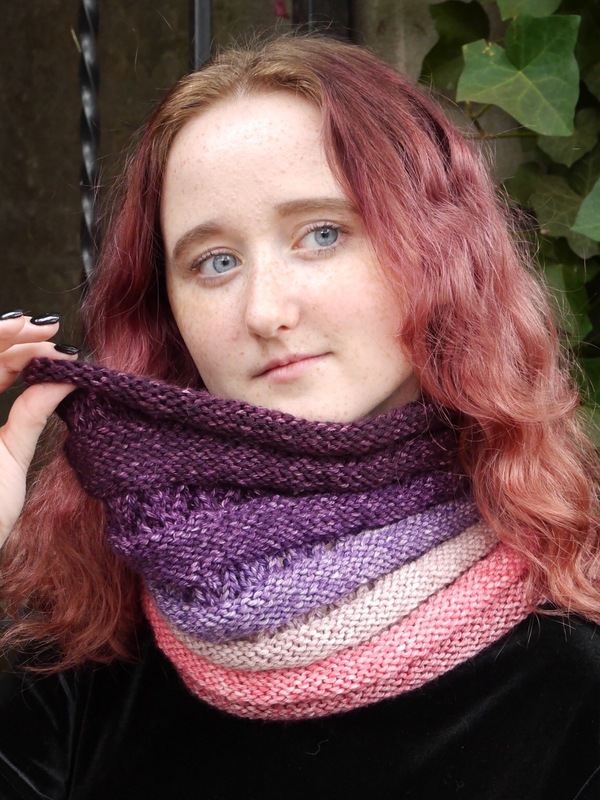 The coupon code is giftalong2018 and it’s good for 25% off any of the participating patterns from all the designers. The KAL/CALs will run from Friday, November 23 at 8pm (US-EST) through the New Years Eve party December 31 at midnight (US-EST). 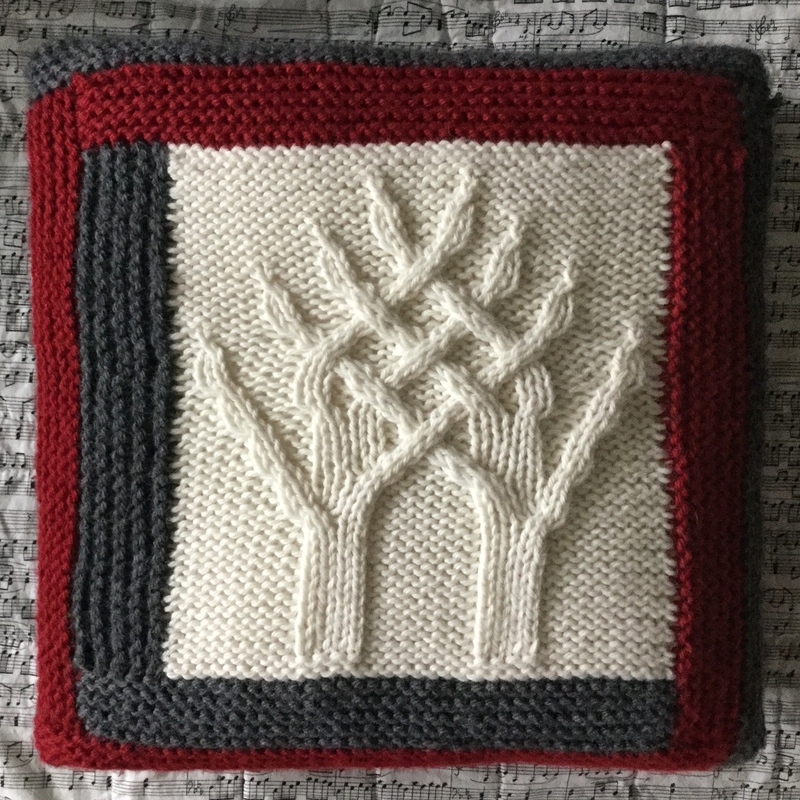 Check out the Ravelry group for all the details. The car door and I had a difference of opinion. Click. I went for an x-ray (my hands are very important to me!) and found that my knuckle is just bruised and swollen, nothing broken. It will just slow me down for a few days. 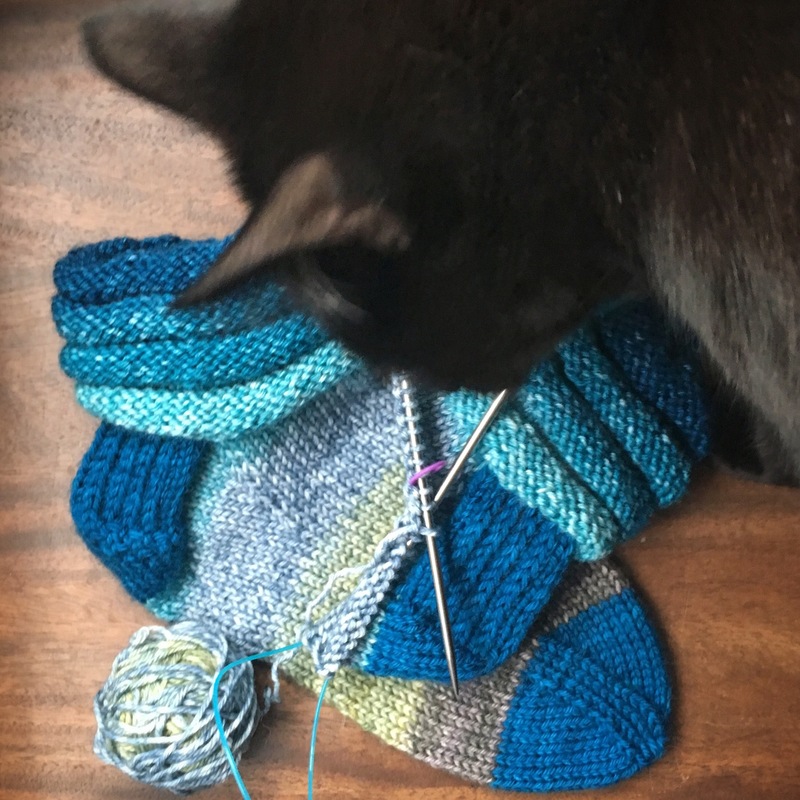 I’ll be knitting…gingerly! 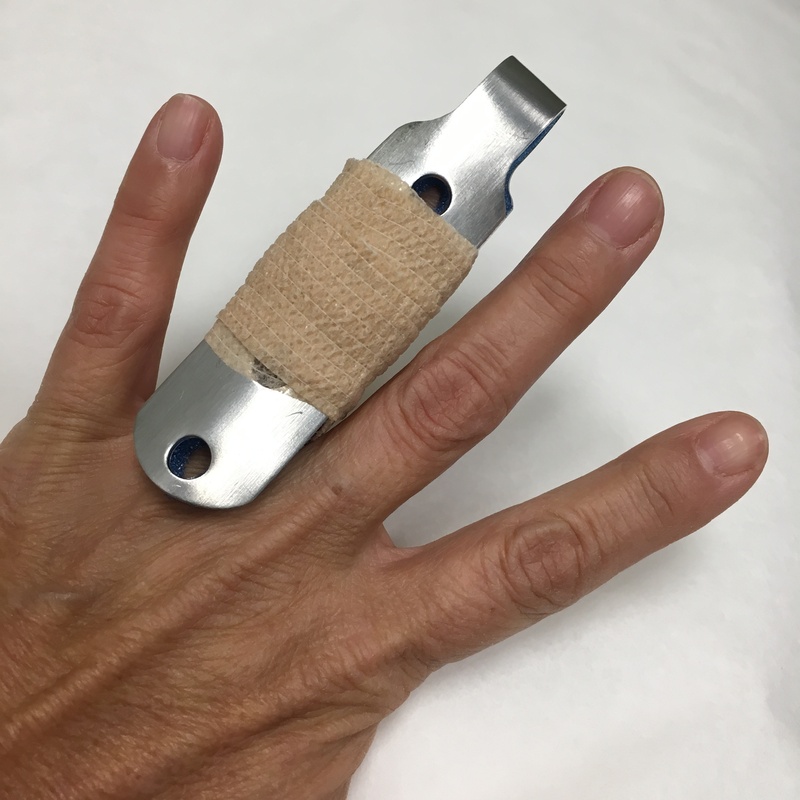 I’m very thankful it’s not broken. Happy Thanksgiving, y’all!